Director: Ian Jackson BA(Hons)LA, DipLA, CMLI Experienced Chartered Landscape Architect holding an honours degree and post graduate diploma in Landscape Architecture. 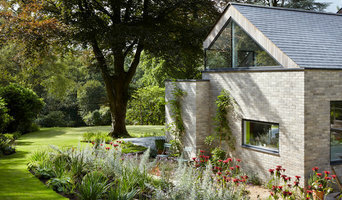 He works in both the landscape architectural field and on garden design projects. Ian has been involved in the landscape industry for twenty years and has worked on major projects in the UK, Hong Kong SAR, China, Macau, Africa, Indonesia and New Zealand. Garden design and landscaping services provided from insured and qualified landscapers. Based in Winchester and Southampton. 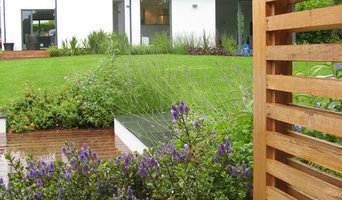 We specialise from design and planning, to build and installation of all garden work. Heavenly gardens - down to Earth services. Living Wallz specialise in the design and installation of domestic and small commercial living walls, bringing vibrant plant life to your living space. We provide expert horticultural knowledge and a personal service to clients ensuring we deliver the perfect wall every time. The systems we offer are commercially proven, innovative, reliable, and the most cost effective in the UK. We are a family run company driven by our love of living walls and making customers happy. Longacres Landscape creates beautiful, award winning gardens. We offer a complete service from design though to the final build and take great pride in our work. We are members of the British Association of Landscape Industries (BALI), which assures our clients a high standard of workmanship. We are fully insured; our work is guaranteed and we employ our own teams of specialised landscapers – so you can commission our services with confidence! As a prrofessionally trained garden designer (Garden Design School 2005) I can help you to see how your ideas can be brought to life. Whether your garden is a small back yard or several acres, we can create a truly beautiful garden that will best suit your lifestyle. I began gardening from an early age and have always had a passion for nature, wildlife, plants and art. 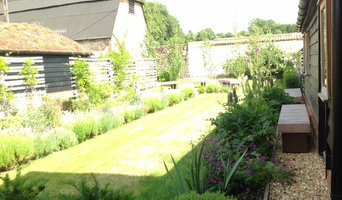 My business was created in 2004 following qualifying in Garden Design and Horticulture at Sparsholt College, Hampshire. I love innovating, driven by a constant curiosity to solve problems and improve lives. She loves to build close relationships with clients where her honesty, attention to detail, clear communication and thoughtful approach ensures that her ideas, support and designs are both insightful and have a very personal touch. Building a close relationship with my Clients is important to me and ensures that the resulting design is both thoughtful and often has a very personal touch. I believe that gardens and the outdoors can, and should, improve and touch people’s lives. Most of my designs are for a wide range of gardens including traditional, urban, wildlife and contemporary. I have also carried out some more unusual projects including: hospital and care home gardens, pub gardens, a small public space and memorial gardens. Established in 1976, Morton & Co is a traditional family business with a passion for delivering your dream. For over 40 years, we have been working with our clients to add value to their outdoor spaces through design and build developments. Judy is passionate about her gardens - both her own and those she designs for her clients. 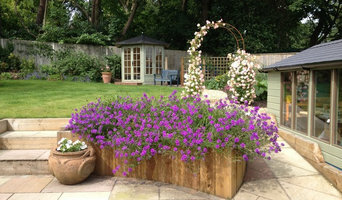 Her garden design business, J Plot, is based in Ascot, Berkshire. She swapped her career as a chartered engineer for garden design and has a City and Guilds in horticulture and diploma in garden design, both with distinction. Clients usually ring Judy when they are unhappy with what they see outside the back door but don't know where to start to make improvements. She guides them through the creative process looking at strengths and weaknesses of the existing plot, evaluating alternative solutions with regard to budget constraints, personal preferences and practical considerations. A professional Gardener and Garden Designer based in the New Forest. Whether it is a modern contemporary new build or a country cottage, I will design a garden that fits your home and style. My designs are computer generated and to scale so can be easily used as a plan for construction. I strive to give a personal and professional service, most importantly to give you a functional design for your perfect garden. A professional landscape and garden design company that provides a bespoke garden design based on information gained from the client in a free pack. The designs are presented either in paper or PDF download formats and are produced using 3D CAD software.